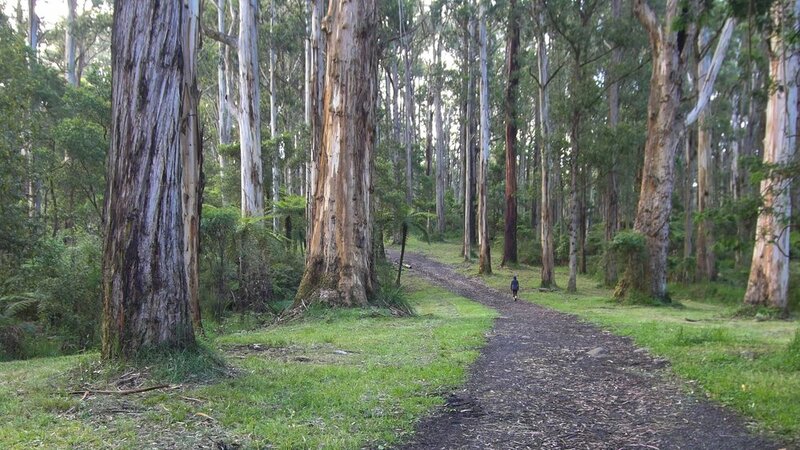 Maybe looking at the Dandenong Ranges on the map is the only reason we under rated this place. We figured any National park that accessible to a major city has to be over run with tourists or it just couldn't be that cool. The second we rounded the couple turns leading into the National park we found we were completely wrong on both accounts and stoked we made the detour. 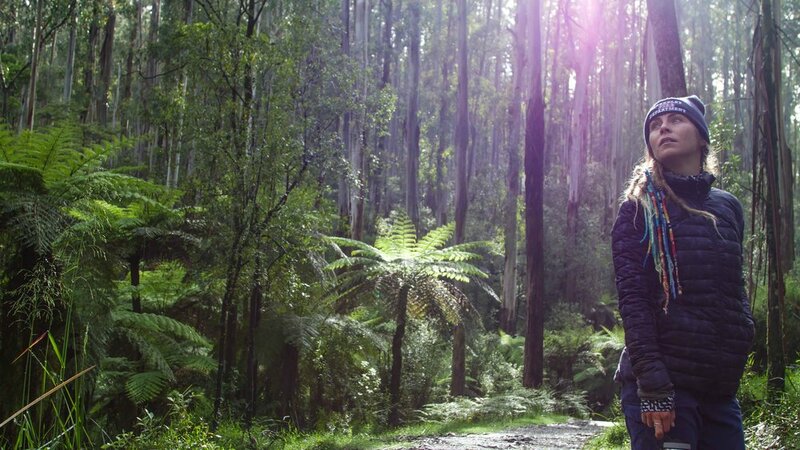 The road snaked thru the Dandenong Ranges canopy of towering Mountian Ash trees, Palm Ferns and at their base, heaps of vibrant green elegant ferns. The drive in got us even more pumped for what some of the trail head descriptions promised. 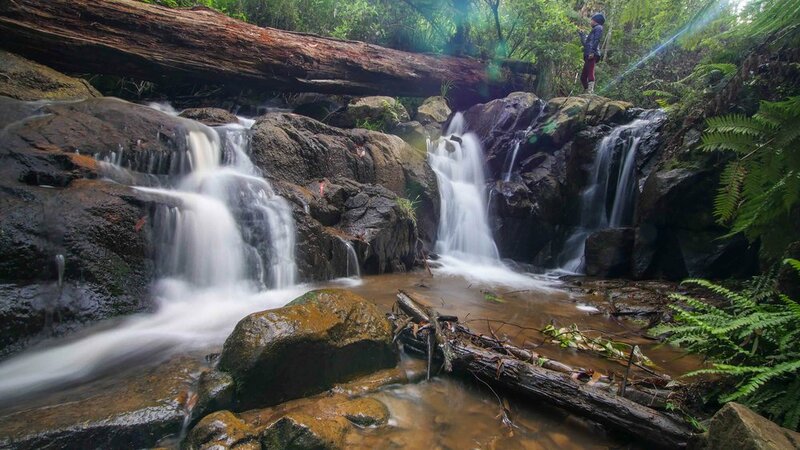 We had actually detoured to the Dandenong Ranges with the slight hope that we might see the elusive Lyrebird. We heard about the fern dwelling bird known for their mimicry of other birds' calls and any other sound for that matter, we researched a little further to hear what their song sounded like and realized that they are some of the natures best beat boxers. They can mimic not only bird sounds, but cellphone sounds, car alarms, construction noises, etc. They have the vocal equilevent of a photographic memory. It is actually mind blowing. The males have showy tail feathers they use during their dancing ritual along with their songs, if you are lucky enough to get both song and dance. 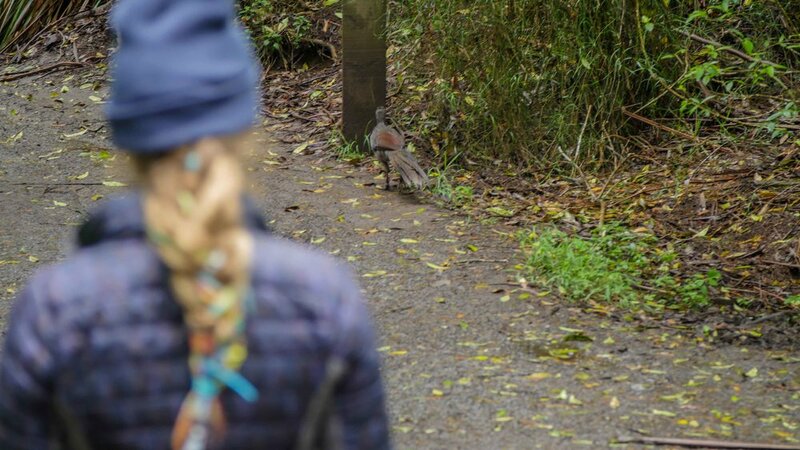 With our minds blown and our sights set on seeing one of these amazing creatures, we headed to Grants Picnic area and started the Lyrebird trail just before sunrise. We figured that is when the birds are guaranteed most active. We started the trail and I know both our hopes were sky high to see this bird. 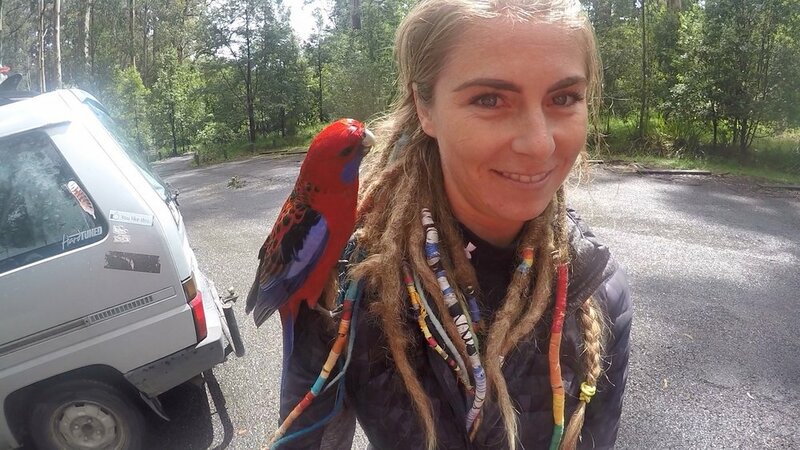 Maybe 15 minutes into the trail, we both anxious to see one, start joking about one just jumping out on to the trail and dancing for us. Turns out one really wanted to. We thought we had heard a Koala sound and we followed where that was coming from then it quickly changed into a collection of different bird calls and we knew we had stumbled on a Lyrebird! It was crossing the trail in front of us when we finally spotted it. It saw us when we saw him and he booked it up the fern hill. We lost him pretty quick but his song echoed through out. Ten minutes later, we hear the same back to back sequence of bird calls and we follow the trail around towards the sound. Another Lyrebird! This one found a nice little fallen down tree. He was using it as a stage where he stayed and had a little concert. A couple minutes later on the other side of the trail one started mimicking the first one's song. We could see both birds being either territorial or exchanging digits and we didn't even have to veer off the trail. 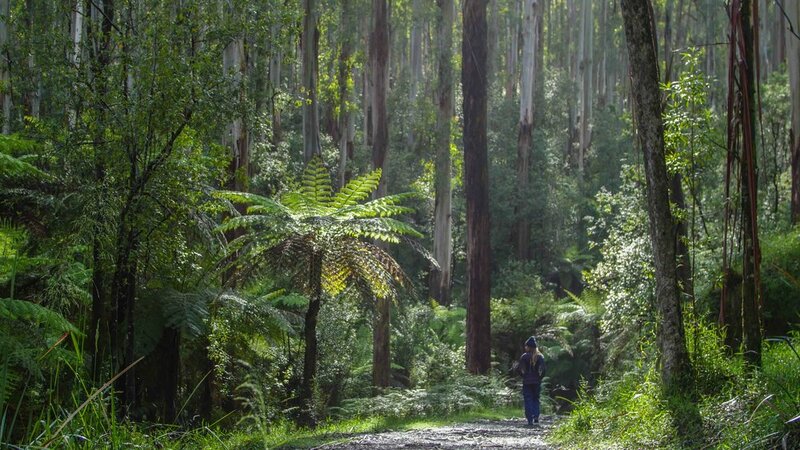 For our first experience in the Dandenong Ranges that we had overlooked we were over the moon with excitement about our experience. I seriously don't think I was breathing and I know my jaw wide open the entire time because I did't want to scare them. I didn't want it to stop. I was beyond amazed watching different parts of his chest or throat move to make such complex sounds.